Pace Pro Carpet Cleaners & Restoration provides residential and commercial carpet and upholstery cleaning services to Champaign, IL Bloomington-Normal, IL and the surrounding areas. 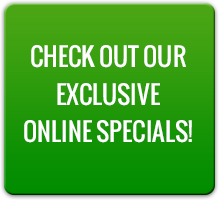 We also specialize in Area Rug Cleaning, Tile and Grout Cleaning and Pet Odor Elmination. 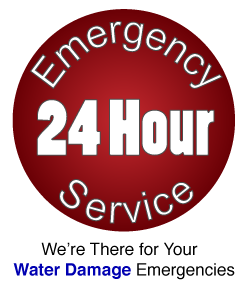 You can now call us 24/7 for your water damage emergencies. We’ve got you covered. All of our work comes backed by our Pace Pro Carpet Cleaning & Restoration Customer Satisfaction Guarantee. If you are not 100% completely satisfied with our service for any reason whatsoever, we will make every effort to correct the issue or refund your money. Pace Pro Carpet Cleaning & Restoration is Champaign’s highest rated carpet cleaning company because of our commitment to quality. Our 8 step process for carpet cleaning and our substantial investment in the most advanced carpet cleaning equipment enables us to achieve the best possible results when cleaning your carpet. Plus with our Fresh & Clean Warranty we’ve got you covered for the entire year! Champaign-Urbana carpet cleaning the way it should be. Our customer’s choose Pace Pro Carpet Cleaning & Restoration because they want to deal with a local company that chooses quality above anything else. Our 8 step process along with our 1 year Fresh & Clean Warranty is what set’s Pace Pro apart from the competition. We are family owned and operated right here in Champaign and we know that you want a personable business to help you with your cleaning and maintenance needs. Contact us to find out more about how Pace Pro can help you keep a clean and healthy home year after year. Meet the crew who will be coming out to your home or business to provide you with the best cleaning ever. Industry trained and certified. Our Pace Pro Carpet Cleaning 8 step process ensures that you get the same superior cleaning every time. Check out the steps that we take to make sure your carpet is cleaner than it has ever been. Champaign, Urbana, Bloomington, Normal, Decatur, Danville, Mahomet, Rantoul, Tolono, St. Joseph, Savoy and surrounding areas.